*All brushes are bought by myself. NOT sponsored. Honest opinions. Shall we? Today I'll be sharing my views on the REAL TECHNIQUES BRUSHES. 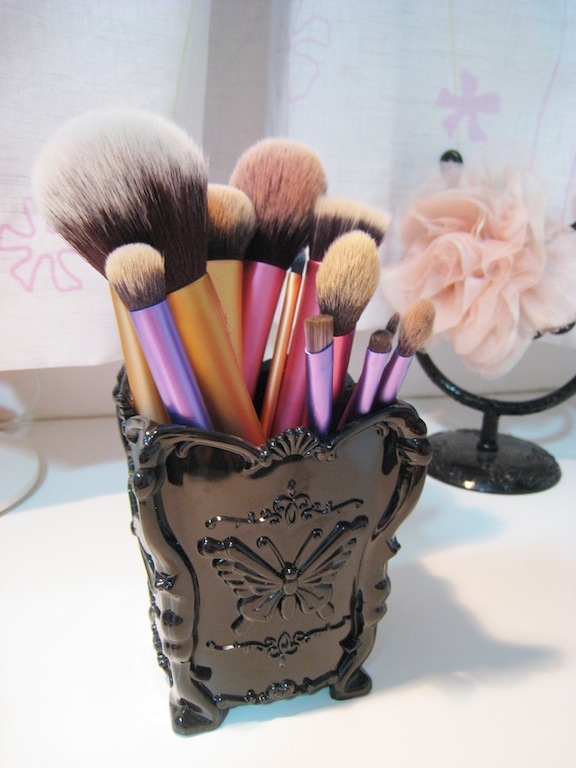 Colorful brushes featuring my Anna Sui INSPIRED brush holder. How pretty is that?! Just look at how dense these brushes are. Can't believe how affordable these brushes are! First off, let me share where I got them. Majority of the brushes were purchased on Drugstore.com and I had them shipped to a warehouse in the US then shipped over to Singapore. It's such a great website for drugstore makeup. Definitely recommend it for girls who always buy makeup from Watsons. Everything in Singapore is WAYYY overpriced. Same lipstick from L'Oreal only cost $5 USD there. The rest I bought from iHerb.com. Apparently there is an official distributor for Real Techniques in Singapore now and you can buy from them directly. Update: RT brushes are available in Watsons in Singapore and various cosmetic stores as well. I'll start off with face brushes then move on to eyes. 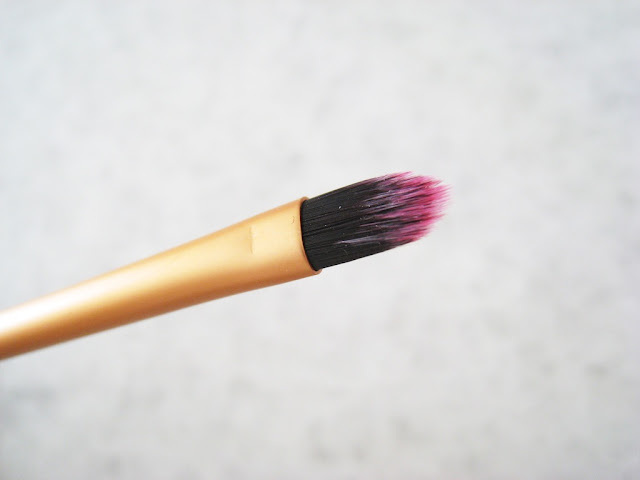 All Real Technique brushes are made with synthetic bristles, so they are much more durable and soft. I have here the CORE COLLECTION and the POWDER BRUSH. As the name suggests, it is used to buff foundation into the skin. I use this almost on a daily basis. I do not recommend using this if you are putting on a very thick foundation for a full coverage effect. This is more suitable for a dewy and natural finish IMO. 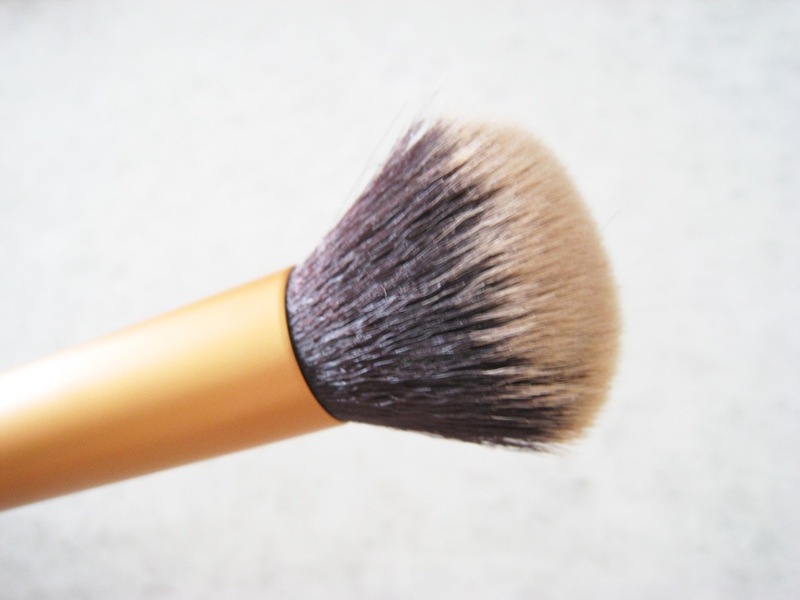 My favourite drugstore foundation to pair with this brush is the L'Oreal Lumi Foundation. LOVE IT! It has been my favourite foundation for the past 2 months. 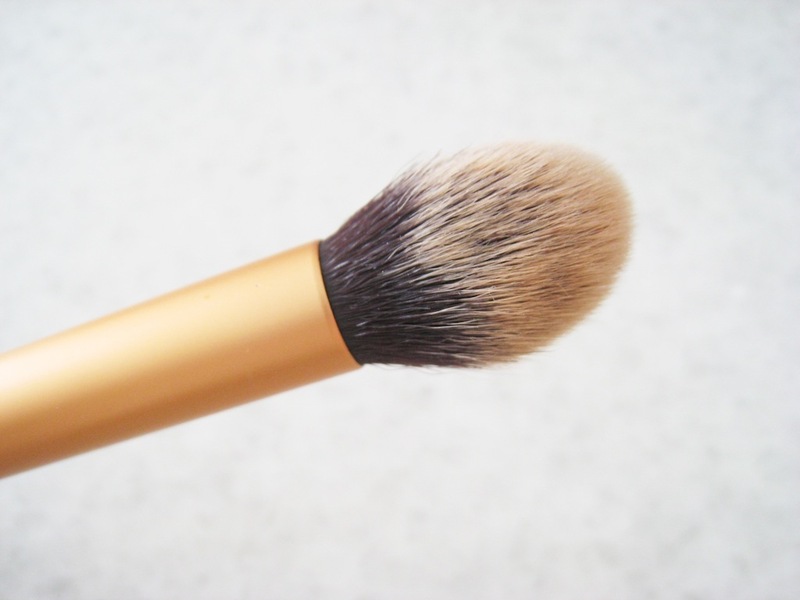 Although this is called a contour brush. I think this is too small for applying bronzer. I am pretty heavy handed so this is probably not a god idea for me. And its also too big to shade the sides of your nose. So I discovered another great way for this brush to work! I used this to blend out concealer/brightener under my eyes, sides of my nose and around my mouth. The size and shape of this is just perfect for targeting those areas. This is meant to conceal small blemishes or problem areas. But I don't think it is working well for me, I still prefer to blend high coverage concealers with my fingers. On the other hand, this can be used as a lip liner/brush. Ideal for applying red or any bright coloured lipsticks that require alot of precision. Honestly, I don't find this useful. I have tried to use this to apply concealer but it is too thin. And for foundation, it is way too small and will take alot of work to cover the entire face. One of my favorites in the whole collection! It is so big and fluffy! Perfect for setting your makeup with some loose/compact powder. I like the density of this brush. It is just right. The amount of product it picks up is just enough for me. Lesser wastage. These 3 are sold individually like the powder brush. Honestly, I seldom reach for this brush. I only use it when I accidentally applied too much blusher and will use this to blend it out. Can't really find any use out of this aside from applying cream blushers, which sadly, I don't have any. Another favorite! I use this every single time. 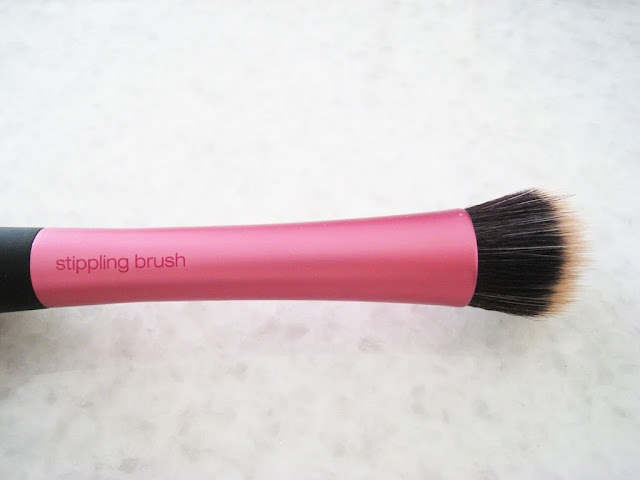 Perfect size and shape for applying blusher! Nothing more I can say about this. This just works perfectly for me. 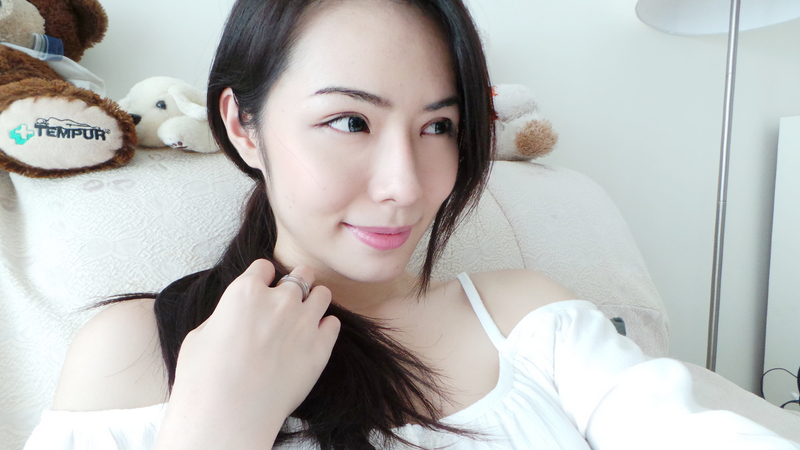 It is kinda like a dom-shape, so it fits very well on my cheeks. 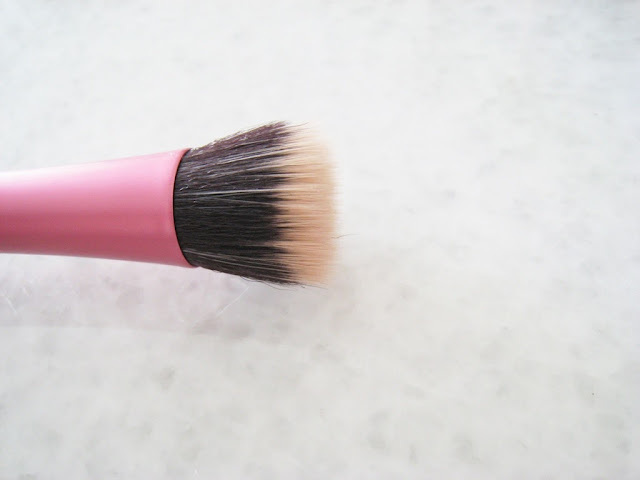 Same as the POWDER BRUSH, it always picks up the right amount of product. 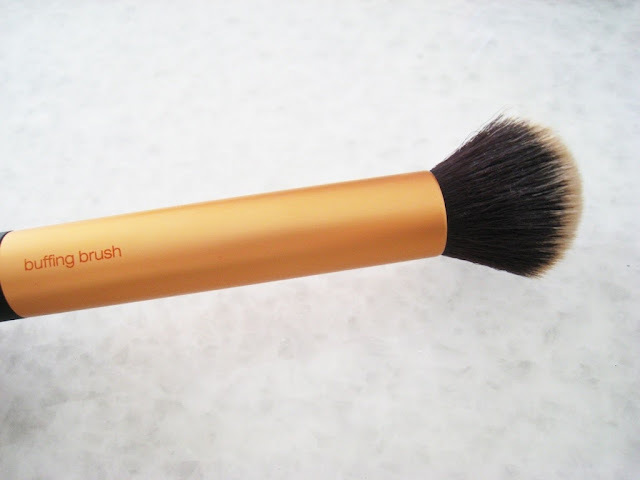 This brush has been raved about online and everyone is trying to get their hands on one. It was even sold out for awhile I think. It's a flat brush with a rounded dom-shape top, which can be used for blending in foundation. Turn it 90 degrees and it becomes slim enough to reach into smaller areas like sides of your nose or under your eyes. 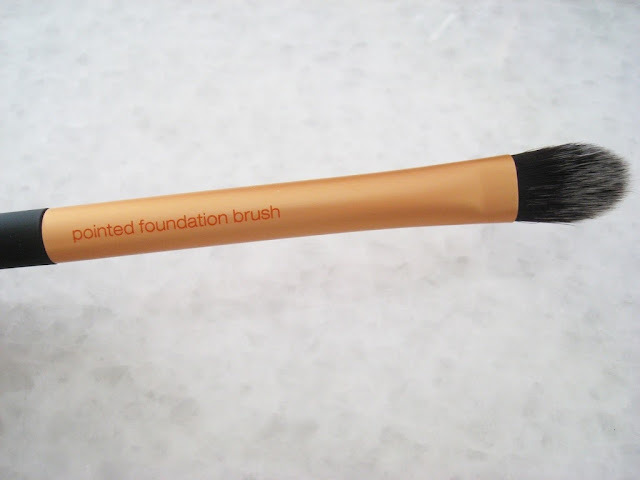 I usually switch between this and the BUFFING BRUSH for applying foundation. Usually use this for a more full coverage look. 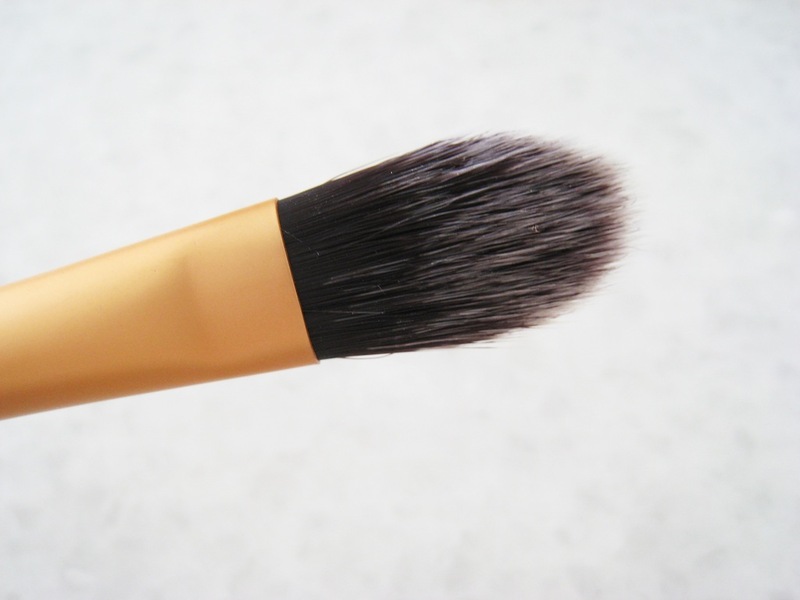 Initially I used this brush for setting under eye concealers. But I realize it is abit too dense. Not soft and flexible enough. So I switched and started using it as a highlighter brush and it works very well for that. Moving on to the EYES COLLECTION. I rarely put on eyeshadows so I do not have too much use out of this set. But there's still a few that I love from this set and has become my daily essentials. This brush is super dense and round. Great for blending out eyeshadows, especially at the outer corners and at the crease. I only use this when I need to do a smokey eye or something. Flat shadow brush. 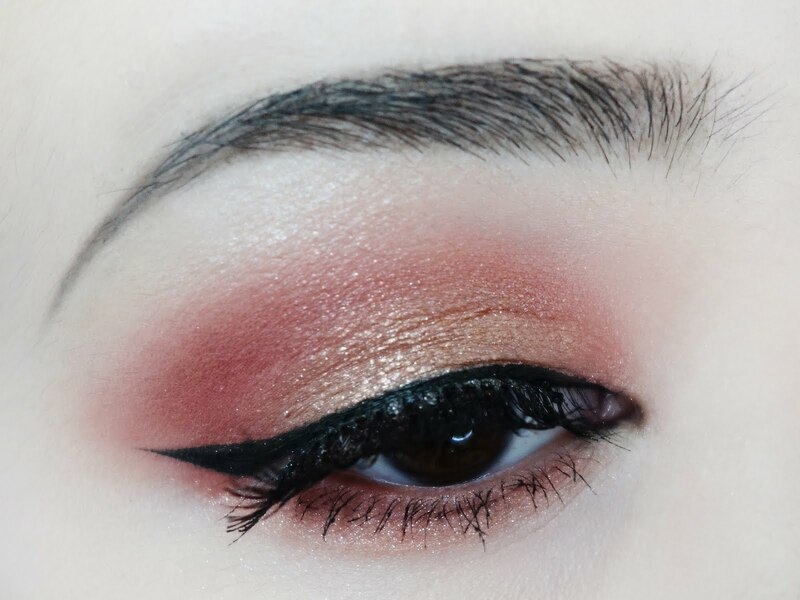 Ideal for packing on the first few layers of eye shadow. 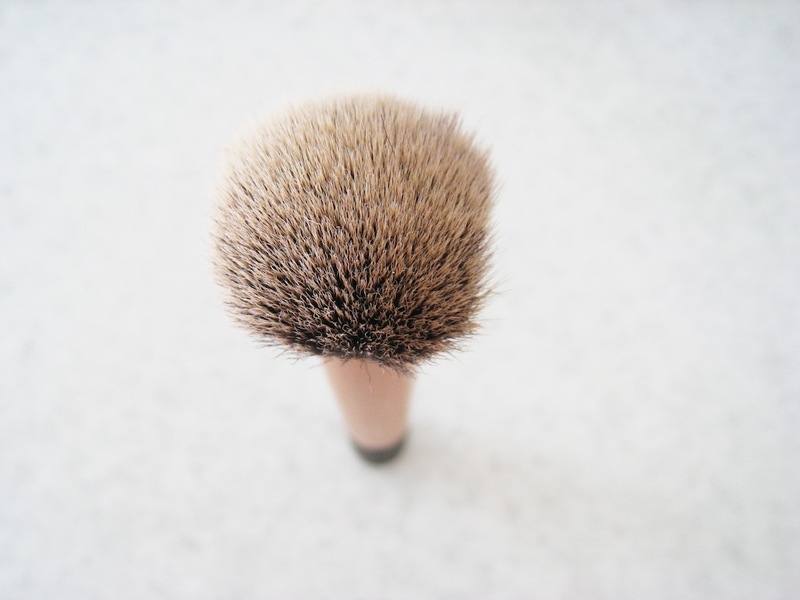 It is really soft so no need to worry about the bristles pricking your eyelids. Tested and proven to be really soft. TADAHDAHDAH!!! 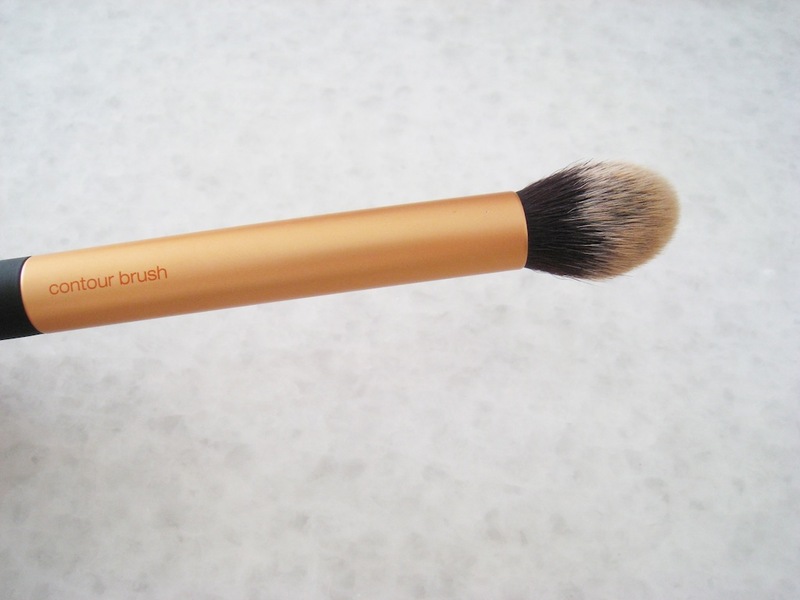 BEST BROW BRUSH EVER! At least for me. I really love this. I have quite thick brows so usually I just use this to fill it in with some powder and then touch up the ends with a pencil. Nothing particularly good or bad about this one. I usually only use this with eyeshadow to line the outer corner of my eyes. But I would prefer an angle brush instead of this one. Just my personal preference. 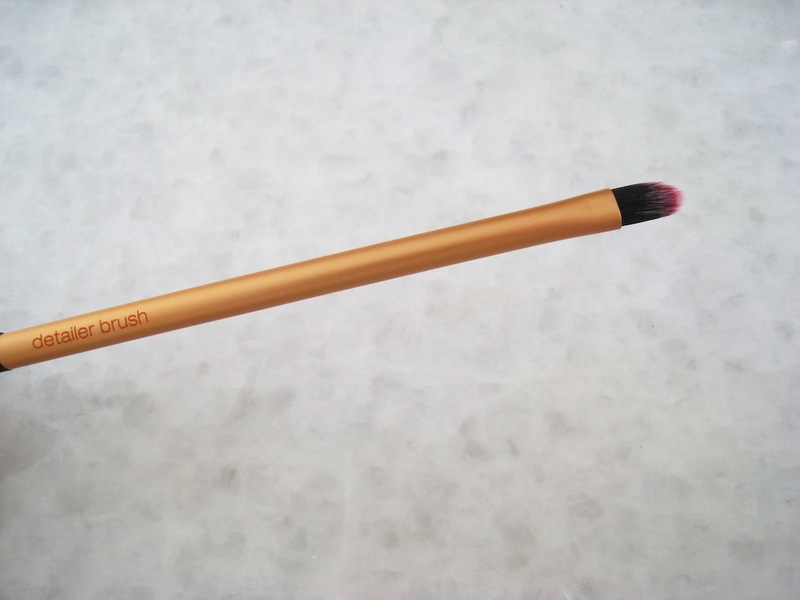 Great brush for drawing liner on the bottom lash line. Small and precise enough to reach those areas! Really thumbs up for this one. Finally found the perfect brush to fill in those areas. 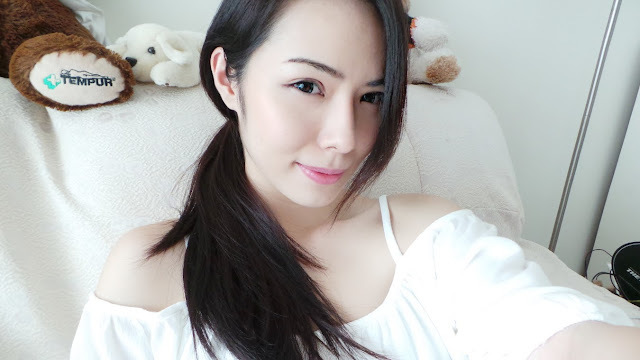 Here are some photos taken after I did my makeup with some of my favourite Real Techniques brushes. Hope my review is helpful for those considering to buy makeup brushes. Thank you all for reading. The deluxe crease brush is great for Undereye concealer and the contour brush is great for highlighter or setting under eye makeup! Hope this helps! Thank you Philomena :) thanks for the tips! They work awesomely well. I really like the deluxe crease for cream based shadows too.